Designer Lee Broom was vacationing at a friend’s house in the Cotswolds, an idyllic bit of rural England. “I’m a city boy, brought up in the Midlands and living in London for the past 25 years, so had never really experienced that intense blanket of stars that you find on a beautiful, clear night in the countryside, with the constellations so clearly marked,” he says. Broom was so captivated that when he got home, he began designing a lighting collection named Observatory. The designs interpret the characteristics of sun and star reflection and light refraction in sculptural, spherical forms. 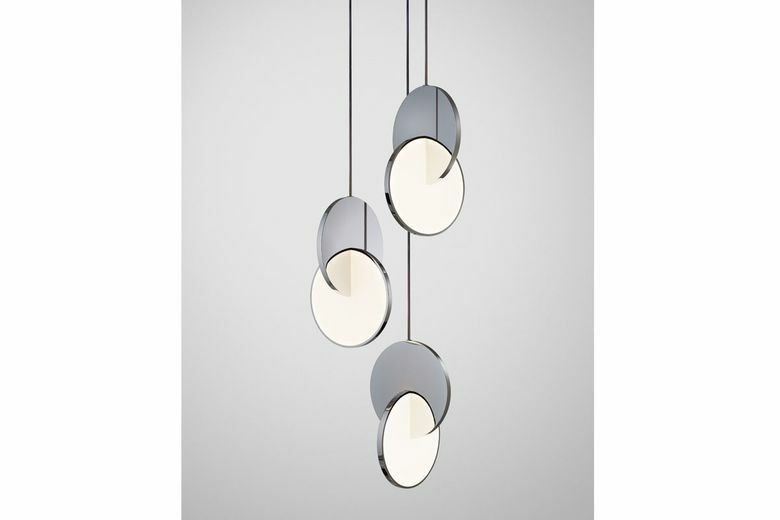 Mirror-polished stainless steel and gold spheres are incorporated with concealed LEDs and acrylic discs and tubes, creating light sculptures in the form of pendants, table lamps and wall sconces. The names pay homage to the heavens: Eclipse, Orion, Tidal, Aurora. The firmament has often been a source of inspiration for décor and furniture designers, and we’re seeing lots of examples right now. Part of the appeal lies in a moody, dramatic palette of blues, blacks and spectral hues, as well as silhouettes that evoke a modernist elan. London-based designer Katja Behre released a new wallpaper this spring for her Elli Popp line. 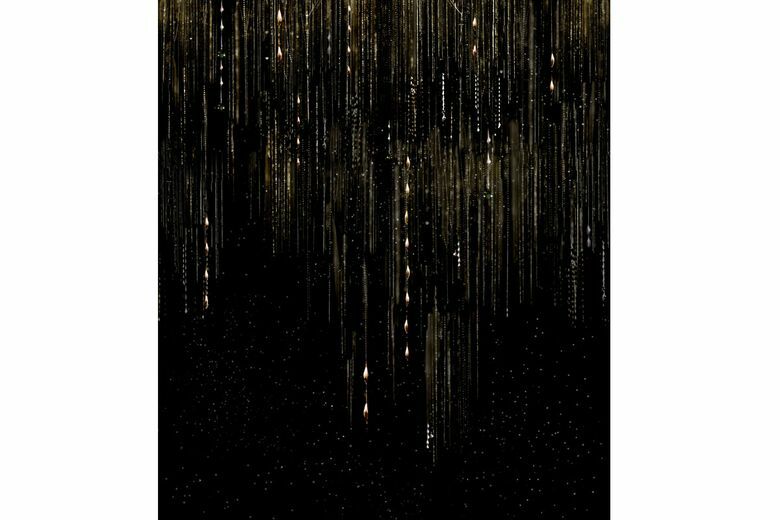 A matte-black background is dotted with vertical, metallic threads, like a meteor shower, or falling rain against a night sky. 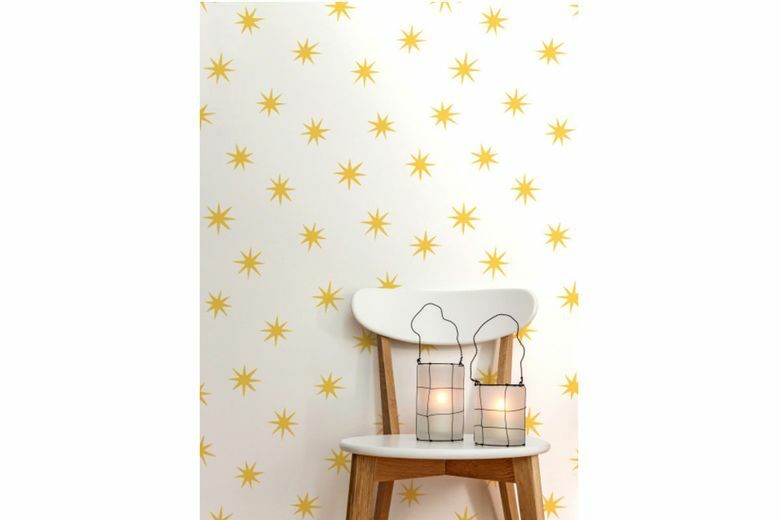 New Yorker Sarah Merenda has done a clean, crisp, eight-point-star-patterned wallpaper that’s offered in several colorways on a white or black background. 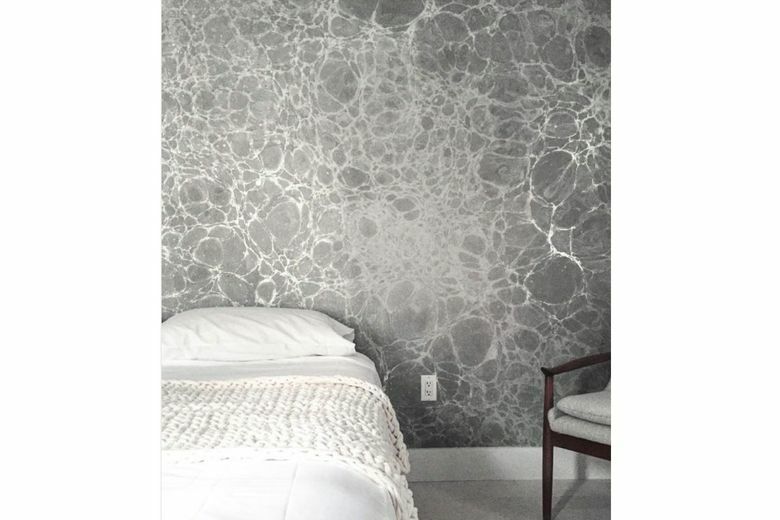 Brooklyn, New York-based Calico Wallpaper offers several celestial-themed designs. Lunaris has fog-, smoke- and midnight-hued backgrounds with silver overlay that evoke the moon’s surface as seen through a telescope. Aurora, with a soothing palette in an ombré pattern, depicts the sky’s constant transformation from dawn to dusk. Heath Ceramics, a studio in Sausalito, California, has a new glaze — Cosmos — that evokes deep space and star-filled galaxies for a vase collection. The swirling mixture of dark and light blues and glossy black create the effect. 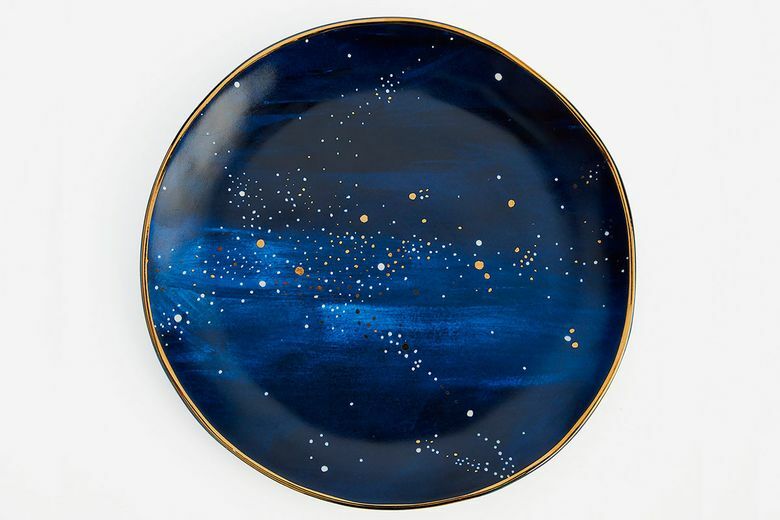 There are more starry ceramics at West Elm: A collection of inky blue salad plates is scattered with pinpoints of gold constellations. Avant-garde Italian design house Seletti collaborated with Diesel Living on a porcelain plate collection, Cosmic, with patterns evoking Jupiter, Venus, the sun and the moon. 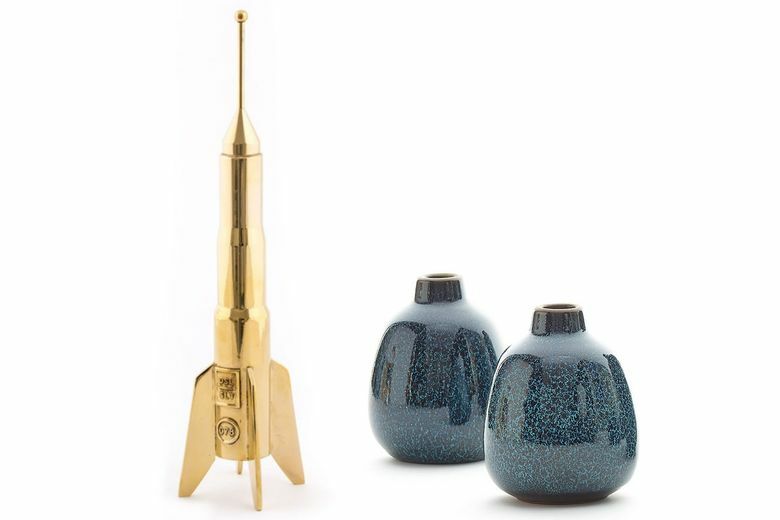 Also in the collection: whimsical Lunar brass storage containers and candle holders shaped like retro spaceships. Antiqued brass turns an eight-pointed star pendant fixture at Arteriors into a warm yet dramatic fixture; its shallow profile makes it a great option for low ceilings.